It's been a good while since I've written a post like this. If you follow me on Instagram, I partake in "Friday Introductions" every so often, and try to make it as amusing as possible. So I thought, hey, I might as well make a full on blog post! Don't worry, this isn't full of boring things like, "I sleep on the right side of the bed" or "my favorite food is chips and queso" (although those are both true things). No no. Prepared to be entertained with these 10 little known facts about me. 1) I still wear my retainer at night three to four nights a week. You know, the old school one that I got when I got my braces off. Metal bar across the front of my teeth, flesh colored plastic that "clicks in" to the roof of your mouth. Yeah, that one. I don't even know if they make retainers like that anymore. But I do know that my teeth are still straight! Not, you're not getting a pic of that. 2) I haven't cleaned a toilet in over four years. When hubs and I moved in together, he was adamant about getting a housekeeper. I thought it was creepy to have someone you don't know come clean your house for you. And then, I realized that means that I don't have to do the cleaning, and I got over that perceived creepiness reeeeeeeeal quick. 3) My pajamas are all Victoria's Secret PINK and I'm not ashamed. Ok, I'm a little ashamed because I am 32 years old, but hey! They make pants long enough for me, so until more "mature" brands get on board with long inseams, I'm PINKing on. 4) I have super bad vision, but I can only pluck my eyebrows without glasses/contacts in. This means my face is about three inches from the mirror. I don't know why this is the only way I can properly pluck my eyebrows, so lets just not ask questions. I look so ridiculous, I lock the bathroom door when it's eyebrow plucking day. 5) I love driving my car, but I never really leave a 5 mile radius of my home. Benefits of living in a major city I guess? Everything is within a few miles of me - literally, everything. But I'd never want to live in a city like NYC where you have to walk everywhere. Especially with kids! That sounds awful. Give me my car, kthanks. 'Muricka! I can't image wrangling these two in a city that wasn't driveable. Nope. 6) Speaking of cars, I haven't parallel parked a car in about five years. I was SO good at it when I lived in Minneapolis and had on-street parking. But now, everywhere in Dallas is lot parking or valet. Lots of valet here, it's actually kinda weird and obnoxious. You have to make sure you have cash on you for tips all the time and I'm like cash?! What is this, 1952? Anyway... I wonder if I CAN still parallel park like a boss. Probably not. 7) My new favorite thing is when I open our back door to let the dog outside, Henry says/screams, "That doggie is going POOP. He going POOP outside!" It makes me laugh. every. time. And there the boys' obsession with bodily functions begins, right? Le sigh. He's THIS expressive and passionate, always. 8) I have an iPhone, because it's 2017, but I use about 10% of it's capabilities. I'm just not that into technology. Yup, I still use a paper planner. And better believe it's color coded! But schedule a meeting in my phone's calendar? Heck no, I don't understand such nonsense. 9) I'm NOT a shopper. I was looking in my closet for something cute to wear for date night and realized I've purchased four shirts in the last 18 months. FOUR. Yoga clothes on the other hand... Let's just say my yoga attire is on point where my normal clothes are lacking. Anyone else feel weird spending money on themselves? I always think about how I don't NEED anything, I just WANT it. And so it goes back on the rack. 10) I love to cook. I really do! And when I cook, everything is from scratch - gravy, sauces (no canned "cream of" soups for me! ), I made my own veggie burgers in a food processor, and on and on. Yet, hubs and I still order take out at least three days a week. Because have you tried to cook while two little people tear apart your house?! Yeah. No. We discovered Snap Kitchen in the Whole Foods on Park Lane and y'all - it's SO convenient! There are tons of choices of what to eat, the nutrition information is clearly labeled and the part I like best is that they have sizes of each meal (S, M, L) so I can buy lunch or dinner portions. And I can pick it up on my weekly grocery store runs. Voila! Dinner is served. Yeah so those are some of the top 10 little known facts about me! Hope that brightened your day. Now get back to work. Haha! You are so good at these posts. I always love reading them. Send your housekeeper over here next k? I live a little further out, so I have to drive EVERYWHERE in Dallas! Which is why I am so thankful for valet everywhere we go. Also, I LOVE Snap Kitchen and Whole Foods for easy lunches or dinners during the week too. Love these facts about you!! Such a fun post!! I still have a paper planner too drives my husband crazy but they are the best! First thing I will be doing when we get a house is finding someone to help me lol. 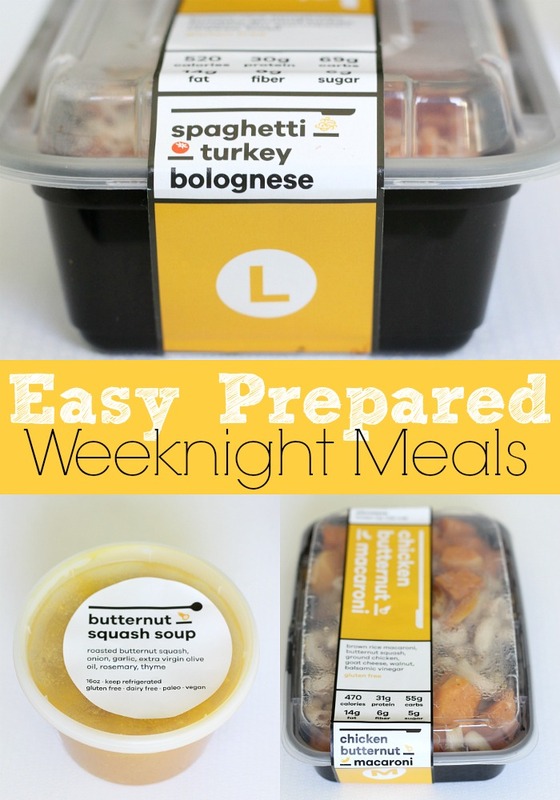 I love prepared meals like that, makes life so much easier! my pjs are either vs pink or nike mens for the same reason. nothing more annoying than short pjs. i used to parallel park all the time at home, didn't do it for 4 years and totally hit the curb during my license test here... oops. i still got my license, and you never need to parallel park here so eh. who cares. Loved reading this post! I want to try Snap Kitchen, sounds amazing! I pluck my eyebrows the same way! Even though my vision is better now after eye surgery I still get like 3" from the mirror. I love that you still like to make everything from scratch when you cook. I feel like that's so rare these days since so many households have both parents working. Fun post to read Paige! Girl, you are so lucky to have a housekeeper! I'm low key jealous that you haven't had to clean a toilet... you'll definitely appreciate that when the boys gets bigger, haha. Not having to clean sounds like a dream! And no shame in the VS Pink PJ game. I still have a bunch of that stuff from high school I still wear, haha. Haha! I also am very near sighted and wear glasses, so when I do my eye makeup, I'm right up against the mirror, too!